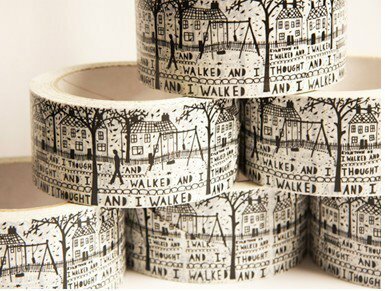 I want this tape: "And I walked and I walked and I thought and I thought..."
From Robert Ryan's shop in London (also available on etsy, for your convenience). This tape is really pretty. I love your blog and all your cute little design ideas and crafts. I gave you an award today on my blog. this is so pretty! I am off to check the shop :) thanks for sharing!